In partnership with and in support of Summer Reading at New York Libraries, myON is providing free, unlimited, 24/7 access to myON’s Digital Library and Middle School Classics for children from birth through Grade 8. Access is available from May through September 2018. Students that already have a myON login will continue to use that login to access the myON digital library and continue reading throughout the summer. This handout contains information on how to get started with myON. Este folleto contiene información en español sobre cómo usar myON. Los Centros de Información sobre los Beneficios para Personas Mayores (SBICs) ayudan a adultos mayores de 60 años de edad y a las personas q ue cuidan los ancianos lograr un mejor conocimiento de los planes de salud de Medicare y la cobertura de medicamentos con receta médica. Usted puede adquirir información acerca de distintos tipos de beneficios que ofrece el gobierno. Asesoramiento y traductores en español están disponibles con cita previa en todos los sitios. Llame (914) 231-3259 para programar una sesión de consejería en español. Por favor llame a 231-3260 para especificar una fecha y hora. Deje su nombre y un número para regresar su llamada. Contacta con Elena Falcone, Director de la Oficina de Community Connections para más información – elena@wlsmail.org. SBIC es una colaboración del Sistema de Bibliotecas de Westchester, El Centro de Derechos de Medicare y el Departamento de Programas y Servicios para Personas Mayores de Edad del Condado de Westchester. SBIC es financiado por el Departamento de Salud y Servicios Humanos de EE.UU y la Oficina del Estado de Nueva York para el Envejecimiento. Libraries Are Not Just About Books On Shelves! Every day thousands of Westchester residents visit one of the county’s 38 public libraries. Thousands more utilize the resources and learning tools available online. If you think of the library only in terms of finding a good book to read or to do research, you are missing out on what libraries are all about today. Patrons are downloading e-books, borrowing DVDs and games, and listening to MP3s from the library. Westchester residents turn to their local libraries for free internet access, help in finding and applying for jobs, improving business operations and learning new skills. With the state of the art performance space, galleries and free WiFi, libraries are community cultural centers, offering programs that include film screenings, concerts, art and local history exhibits, artist residencies and so much more – all free and open to the public. Westchester Library System (WLS) is a cooperative library system, one of 23 in New York State. Serving the county’s public libraries, WLS insures cost savings and expanded levels of service for libraries that would not be possible independently. As a county-wide system, WLS assists libraries in providing quality service and programs to meet the needs of communities throughout the county. There is little doubt that libraries are the heartbeat of the community they serve – providing information, innovation and inspiration for everyone from toddlers to seniors. But libraries are something more…they are economic engines, creating an industry that supports jobs, provides valuable free services, and insures Westchester’s place as the intellectual capitol of New York State. WLS manages the telecommunications network for all 38 libraries – the largest telecommunications network in the county. WLS staff provides all maintenance and tech service – saving individual libraries the cost of IT managers and service call fees. With 44 free WiFi locations, and 980 public use computers, residents logged in 1,437,136 times last year. Westchester libraries save $913,000 in ongoing technology maintenance, service and upgrades and $63.7 million by not having to individually purchase Internet access. WLS provides county-wide delivery service and inter-library loan. If there is a book you want to read or need for research, a county-wide delivery system and inter-library loan program allows patrons to borrow items from other libraries and return them anywhere in Westchester. As local library budgets are reduced, less materials are being purchased, which requires a greater use of the inter-library loan system. 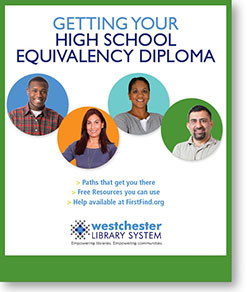 You can reserve using our online system, 24/7 and then return them to any Westchester library. In 2010, over 1 million items were loaned between libraries, saving $2.5 million through the system delivery service. WLS provides professional development and staff training. Continuing education and professional development is important in any field. In the world of libraries, maintaining customer expectations, keeping up with technology and the latest developments in the publishing world while having your pulse on the needs of the community is no small feat for the library director. With many roles to juggle, the library directors and staff know that WLS is there to provide guidance and best practices to keep them up to date. Based on the average cost of professional development workshops, the estimated cost savings is over $6600 per library – a total of $254,000 system-wide. Our mobile classroom and webinars reduce travel costs and keep time out of the library to a minimum. WLS provides efficiencies through cooperative and centralized services. A centralized cataloging service maintains quality control in the central WLS catalog. This means that each new item does not have to be cataloged 38 times by the individual library, at a cost savings of 80%. In addition, El Catalogo en Española, allows individuals to search and retrieve materials using Spanish vocabulary – making library resources more easily available for our Spanish speaking and reading residents. Over 40,000 new titles were added to the catalog this year and over 20,000 Spanish language titles are available. WLS’ Office of Community Connections offers literacy services to traditionally underserved populations. Doing more with less is standard operational procedure for many libraries today. Limited library budgets don’t always allow library staff to provide for those in most need of services. WLS helps individual libraries identify community needs and specific programs to empower their communities. Services include programs for new Americans, senior information and enrichment programs, youth and teen programs, job readiness and counseling for youth, the unemployed and individuals in mid-life transition, and learning programs for individuals with disabilities. The Westchester Educational Brokering Service (WEBS) a career and educational counseling service has conducted seminars and individual counseling sessions for job seekers at all levels, providing free career counseling to thousands of adults, helping them to advance their careers, change fields, re-enter the job market, return to school and plan for later years. This free service has helped thousands of Westchester residents, saving them hundreds of dollars since the program began over 30 years ago. Working with our collaborators and partners, we utilize our collective resources to strengthen our ability to serve the residents of Westchester County. We are proud to work with our nonprofit colleagues on the national, state and local level. In education, social services, and the arts, our partners bring added value to the work we do in every corner of the county. While all WLS programs are free to the public, the cost of running these programs continues to rise and depends on public and private funding. This support is critical to maintaining the level of service Westchester residents deserve and have come to expect. And it is critical to maintaining Westchester’s place as the intellectual capitol of NY. We are grateful to New York State, Westchester County, foundations, corporations and individuals who continue to invest in WLS. Donor support makes today’s libraries not just repositories of books, but lively community centers for diverse populations and all ages, vibrant centers for the arts, centers of learning for new Americans and safe havens for our youth. And yes, a great place to pick up a good book! The ROI can be measured not only by financial impact, but also by our collective community pride in opening the door of knowledge, changing a life and making Westchester a better place to live.